A website that goes by the name Spoiled.io is doing a shameful job of ruining Game of Thrones season 8 for your haters. All you have to go is pay ₹64 and get your sweet revenge on the said person. Basically, Spoiled.io does the dirty deed for you. The best part about the whole deal is that you won't be caught. All you have to do is subscribe to Spoiled and they will do the rest for you. As soon as the episode airs, an anonymous text will be sent to the person you despise. The text will have a Game of Thrones spoiler that will definitely flip out anyone. The said enemy won't be able to track down who seent the spoiler as well. Now here's the chance for you to get even with your enemy! On the same, the guy who came up with the idea to provide haters with Game of Thrones spoilers after reading a Reddit post about how an ex-girlfriend exacted revenge from a guy every week by giving him GoT spoilers. The post read, "Since then she spoils the show for me every week. I tried to ask her to stop but she blocks me immediately after she sends the message. I blocked her on WhatsApp, but she did it via Facebook. Then the next week it was text. She even borrowed one of our mutual friends' phones to do it, and I fell for that. (Our mutual friends are all closer to her and apparently, hate me now because of what she's told them about me.) I can't watch it before she ruins it [because] I have to wait till my girlfriend (my ex) is home from work to watch it with her." The show is set to premiere on April 14. 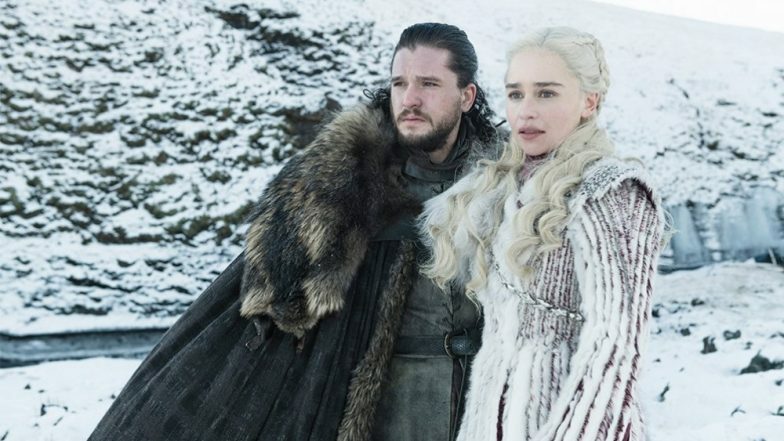 Starring Emilia Clarke, Kit Harington, Peter Dinklage, Sophie Turner, Maisie Williams, Lena Heady, Nikolaj Coster-Waldau, etc, in pivotal roles, the finale will be quite a spectacle.